Lemax Visiting Santa Figurines Set of 3 depicts a joyous scene of Winter dressed Dickensian children meeting and greeting Father Christmas and his Elf, and receiving a wrapped gift to take home. Lemax Caddington Village themed figurine set which joined the Lemax collection in 2006. 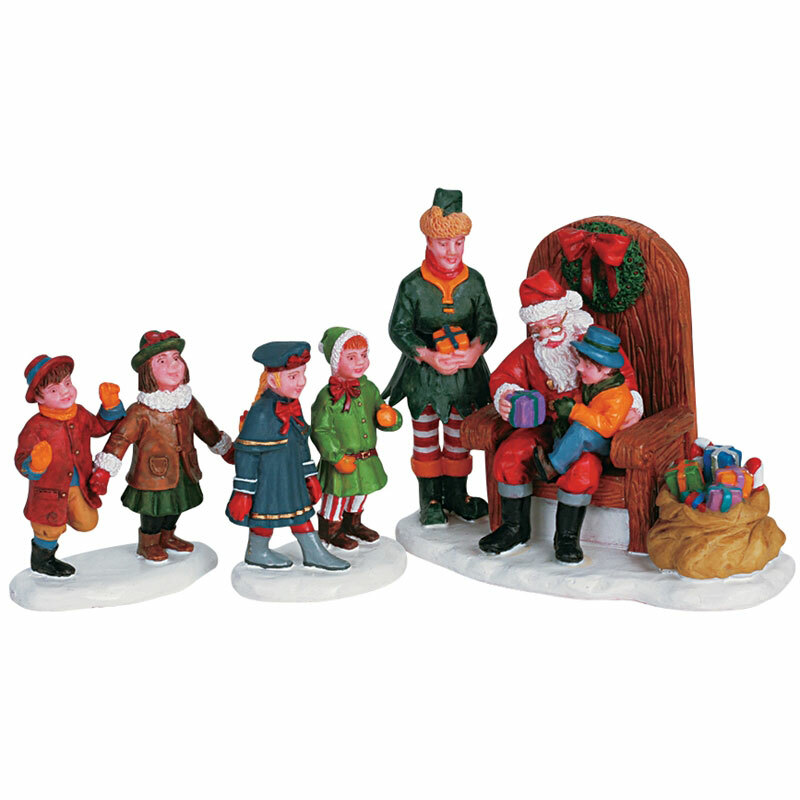 Comprises multiple individual hand painted polyresin figures on three individual snowed bases to compliment your seasonal Lemax Village Christmas display.